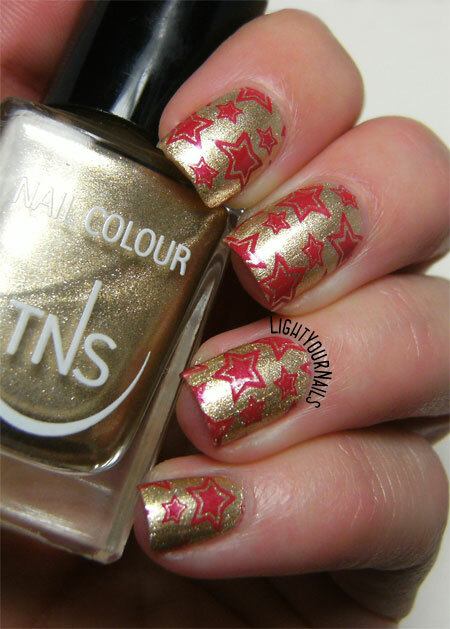 Winter nail art challenge: wrapping paper | Light Your Nails! the red and gold is so classic. What a lovely gold. I like that it wasn't streaky. Your stamping was perfect! So fun and festive! I can totally imagine that design on wrapping paper! Oh how pretty! I really like how bright that red looks! These are so pretty, perfect wrapping paper! Beautifully done!! Looks just like wrapping paper. 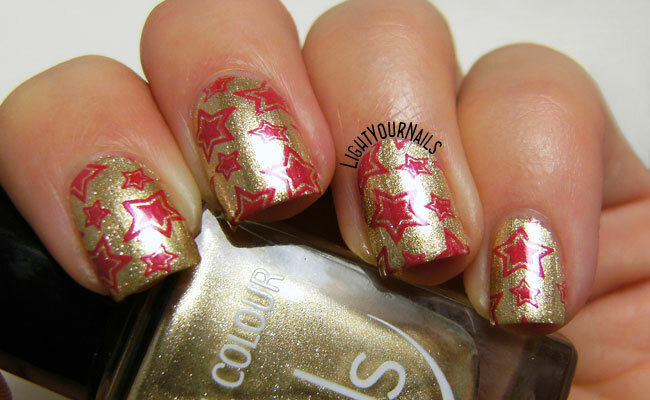 Red and gold is a great color combination for Christmas and the stars on gold look exactly like a wrapping paper. mi ricorda tantissimo una barbie che avevo da piccola e che mi avevano regalato proprio a Natale: barbie hollywood! Oh my gold! Ma è UGUALE!!!! An Italian blogger! Amazing! My background is Italian (parents from Sicily and Genova) .. great work Bella!